2mg One a day. May help to maintain a healthy heart, circulation and cholerol. Free from artificial additives, flavours and colours. 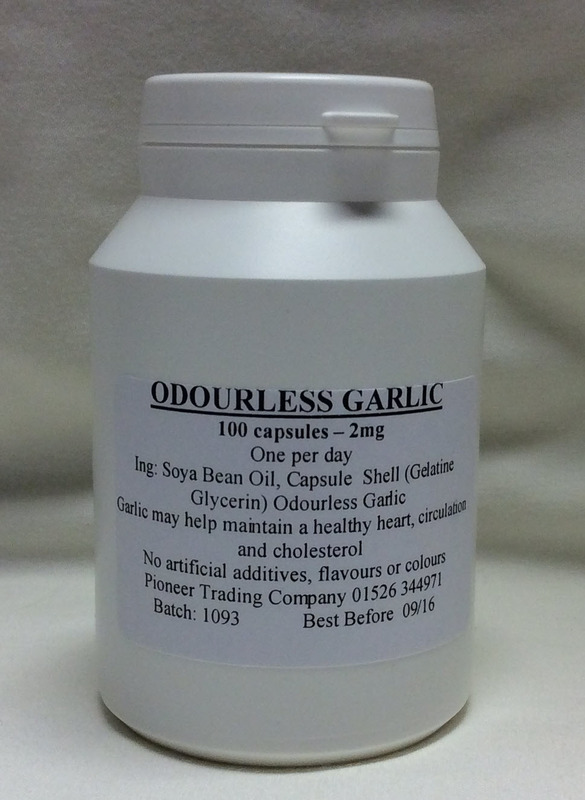 Ingredients- Soya Bean Oil, Capsules Shell (Gelatine Glycerin), Odourless Garlic.